very bad – a step toward fascism Lawmakers around the country are treating judges who rule against them like any other politician. That’s bad for everyone. Revelations that data belonging to as many 87 million Facebook Inc. users and their friends may have been misused became a game changer in the world of data protection as regulators are looking to raise awareness about how to protect information. The truth of the matter is that while it is especially outrageous when security forces harm journalists, particularly if you are a journalist yourself, the wanton use of live ammunition against unarmed people demonstrating on the other side of a fortified border, no matter what they were doing at the time and no matter what their job title or political affiliation, is simply indefensible. It’s time to start calling this what it is: a series of state-sponsored mass shootings, which we can expect to see repeated for the next five weeks. Demanding that the army investigate the killing of one journalist is not enough. 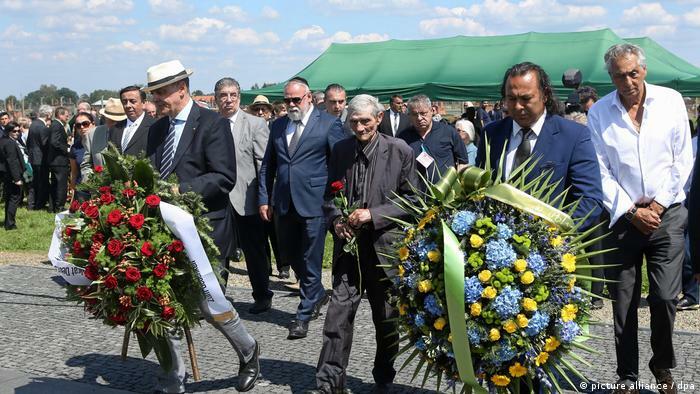 The Association of Roma in Poland is located near Auschwitz, where German Nazis murdered more than 1 million people. Speaking to DW, spokesman Wladyslaw Kwiatkowski say the community still faces discrimination today. “Oh Happy Day” is a 1967 gospel music arrangement of an 18th century hymn. Recorded by the Edwin Hawkins Singers, it became an international hit in 1969, reaching US #4 and UK #2 on the pop charts. It has since become a gospel music standard. Edwin Hawkins’ funk style arrangement of the hymn “Oh Happy Day” has a long pedigree: It began as a hymn written in the mid-18th century (“Oh happy day that fixed my choice”) by English clergyman Phillip Doddridge (based on Acts 8:35) set to an earlier melody (1704) by J. A. Freylinghausen. By the mid-19th century it had been given a new melody by Edward F. Rimbault and was commonly used for baptismal or confirmation ceremonies in the UK and USA. The 20th century saw its adaptation from 3/4 to 4/4 time and this new arrangement by Hawkins, which contains the repeated refrain only (all of the original verses being omitted).